What's Up Wednesday - Join My Team And Get 25% More Starter Kit Products FREE! Happy Hump Day Everyone! 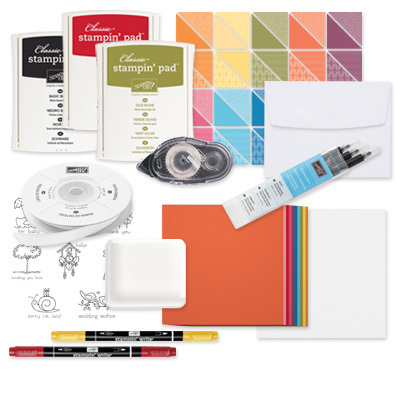 If you ever thought about becoming a Stampin' Up Demonstrator, now is the perfect time! During Sale A Bration, anyone who joins my team will get an additional 25% more Starter Kit Products for FREE! This is along with the added perks of being apart of the Stampin' Up Family. 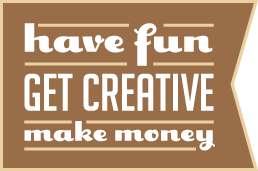 What better way to start your own home-based business while being creative and having fun! For just $99 you get to choose $125 worth of brand-new products from the Annual or Spring Catalogs and completely customize your starter kit. What is a Stampin' Up Demonstrator? A Demonstrator runs his or her own home-based business selling creative products to others and giving them helpful ways to enhance their lives. Demonstrators receive constant support from Stampin' Up through coaching and creative ideas to help make their work not only beautiful and easy, but fun as well! If you are not interested in running a home-based business, you can also sign up to be just a Hobby Demonstrator. Hobby Demonstrators love getting Stampin' Up products for themselves without the emphasis on starting a business. This includes getting the same 20% discount and having perks such as being able to pre-order new products and attending Stampin' Up Events. Why should I join Stampin' Up? You get to make your own schedule. You can adapt your schedule to fit your family's needs. You get to create amazing new relationships with others. You get discounts on wonderful products. Last but not least, You get to make extra money! The sign up process is very easy. Simply contact me or click on the Join Now button on my Demonstrator website. Starter Kits are only $99.00 and you can completely customize it to fit your individual needs and taste. You get to choose what products you want to start with and what type of business supplies you want. Plus, during Sale A Bration, you will get 25% more products for FREE in your Starter Kit as Stampin' Up celebrates 25 years of making a difference in Demonstrator's lives! Stampin' Up will then ship the Starter Kit right to your door! Click Here to download the Stampin' Up Demonstrator Recruiting Brochure.